Former non-‘walking tram smash’ Paul Gascoigne has narrowly avoided doing jail time, despite being caught driving with over four-times the legal limit of alcohol in his system – although you’d suspect that Gazza would still be four-times over the limit even if he managed to knock the sauce on the head for the next decade or so. This very morning, Gazza was handed an eight-week suspended sentence at Newcastle Magistrates’ Court after being arrested for driving ‘erratically’ in the city’s Jesmond area in early October. He was duly breathalysed and found to have 142mg of alcohol in 100ml of breath, with the limit being 35mg. 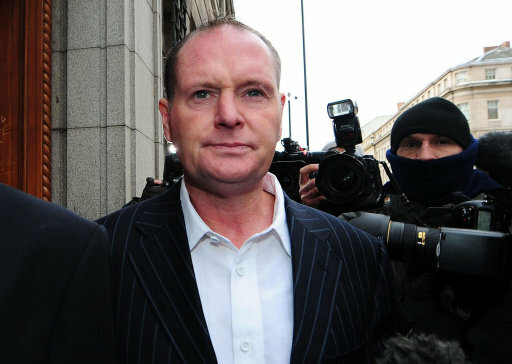 Gascoigne then admitted to the drink-driving charge at a hearing later in the month, and was warned at the time that he could be facing a 12-week prison term. It transpires that the former England midfielder has successfully dodged the big house, but has been given an alcohol treatment order and been banned from driving for the next three years. If you’re wondering what’s next up for the perpetually stupid Gascoigne, a separate drink-drive charge is waiting in the wings and will be heard next week at Northerallerton Magistrates’ Court. A shame. Justice isn’t just for Joe Bloggs.